The A-Class Sedan is speaks its design language with a confidence that stands out in an overstyled world. Its lines are clean and flowing, designed to pair class-leading aerodynamics with a spacious cabin. The hood is wide and low, with crisp shoulders sweeping from the Star-centered grille and LED headlamps. Generously sized wheels emphasize its long wheelbase and sleek profile. And its details are elegant, modern and athletic, just like the sporty performance and advanced technology within. Fine materials, forward-thinking technology and freshly reimagined design unite in a cabin that's a cut above and steps ahead of ordinary small cars. Digital instruments and displays, touchpads on the steering wheel and console and an industry-advancing voice interface enhance ease of use. Aircraft-inspired round vents and luxuriously contoured seats add to the premium feel. 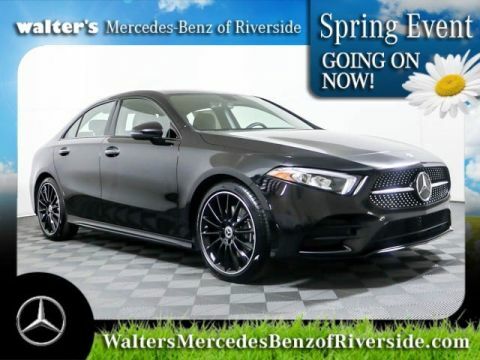 And standard luxuries abound, like power front seats with memory, a Panorama roof and dual-zone climate control. Offering sweeping skyward views to both front- and rear-seat passengers, this giant, fully functional glass sunroof features a large panel that can tilt up for ventilation or slide back for an open-air feeling. A power interior shade lets occupants vary the amount of sunlight entering the cabin and you can even open and close it using the car's advanced voice control system. The 188-hp 2.0L inline-4 engine combines turbocharging with numerous advances to deliver more power from less fuel. Its rapid-multispark ignition and high-pressure Direct Injection can fine-tune themselves in milliseconds. Its twin-scroll turbo and CAMTRONIC variable valve lift help keep all 221 lb-ft of torque on tap from just 1,250 rpm. Clever CONICSHAPE cylinders slash friction to help reduce wear and fuel consumption. And a particulate filter helps make its emissions even cleaner. An ECO Start/Stop system automatically shuts off the engine at stoplights and other idle situations, to save fuel and reduce emissions. As soon as the driver lifts off the brake, the engine instantly restarts, for immediate acceleration response. The ECO Start/Stop system can also be shut off by the driver at any time. The racing-inspired 7-speed transmission combines the sporty response of a manual, the smooth refinement of an automatic and better efficiency than either. Dual clutches offer quicker gear changes than a human can shift a traditional manual gearbox, while three overdrive ratios boost highway efficiency. Selectable ECO, Sport and Comfort modes let you favor fully automatic efficiency and comfort, intensified response, or shift-for-yourself excitement via the steering wheel-mounted shift paddles. Intuitive, seat-shaped controls help you find your ideal driving position with 12-way power adjustment, including 4-way power lumbar support. A memory system for each front seat recalls three stored seat positions with the touch of a button. The driver-seat memory also includes the power steering column and side mirror positions. Both front seats also feature adjustable cushion length, for optimal thigh support and added comfort. The rear seatbacks fold down in a 40/20/40 split, offering a variety of cargo and passenger configurations. You can also fold the center section independently, to fit longer items like skis between two rear passengers. 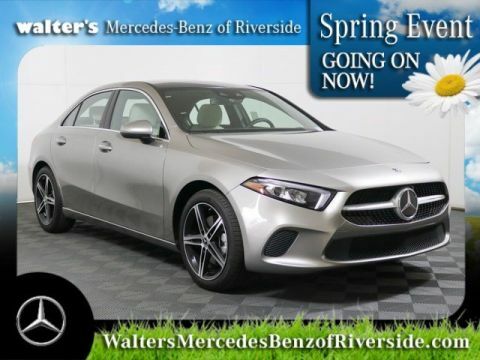 The release handles are in the trunk, so they're conveniently located where you'll need them and can be kept out of reach simply by valet-locking the trunk. Separate left and right temperature controls allow the driver and front passenger to enjoy personalized comfort. In addition to fully automatic or manual control of blower speed and airflow distribution, the system includes a dust and pollen filter that helps keep particles as small as 5 microns from entering the cabin. Five adjustable vents in the dash and a pair of rear-cabin air vents help maintain passenger enjoyment throughout the cabin. Mercedes me connect gives you remote access to your car via a smartphone Mobile App. Features include Remote Start, door locking/unlocking, vehicle monitoring, stolen vehicle tracking and a locator when you park. You can enjoy HERE? Local Search and and can send destinations to the available MB Navigation system. Three years of connect services are included for no charge with your new Mercedes-Benz. Radar-based technology can alert you if you're approaching a vehicle ahead, or even some stationary objects, at a speed and distance that suggest a collision is likely. As soon as you start to brake, it can automatically provide an appropriate level of braking to help prevent a collision or reduce its severity. If you fail to respond, it can also initiate braking automatically at a range of driving speeds. The system can also detect and react to crossing pedestrians at typical city speeds. The first system of its kind, ATTENTION ASSIST®(R) continuously monitors up to 70 parameters of driving behavior and can automatically alert the driver with both visual and audible warnings if it detects signs of drowsiness on long trips. With enhanced sensitivity, the system can also help detect drivers who begin their trip drowsy and offer more useful information to drivers along their journey via a dashboard display. Bright white LED Daytime Running Lamps help get the A-Class noticed, for added safety and in modern style. Their distinctive angular design accentuates the subtle forward lean of the grille. 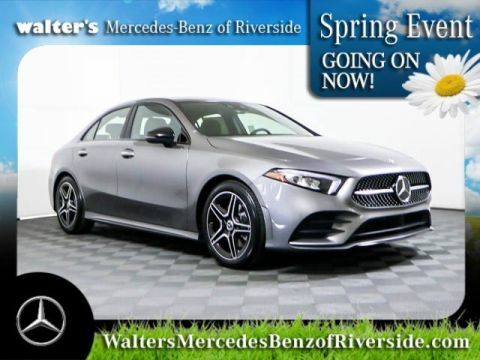 Let the 2019 Mercedes-Benz A-Class A 220 impress you in person today at Walter's Mercedes-Benz of Riverside located at 3213 Adams St. Riverside, CA 92504.